Peter Francis Geraci Law. Affordable bankruptcy attorneys near your work and home. Qualify in 5 minutes. It's free over the phone or in-person with a bankruptcy lawyer. 1-888-456-1972 Monday - Saturday. Over 30 offices open late-night and weekends so debt relief is easy and stress free for you. Bankruptcy attorneys you can trust. 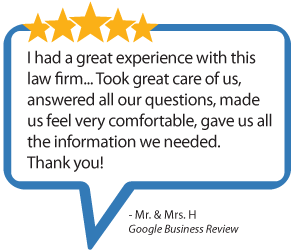 40 years in business, over 100,000 clients served, and 17,000+ 5-star or positive bankruptcy attorney reviews. Geraci Law is by far the most reviewed bankruptcy law firm in the country. Bankruptcy Attorneys in Chicago, Indianapolis, Milwaukee, and the surrounding communities. Since 1977, Peter Francis Geraci and Geraci Law have helped over 100,000 happy clients get debt free by filing Chapter 7 and Chapter 13 Bankruptcy! Open 6 days a week, with late night and Saturday appointments. Our goal is to serve you! We often file another Chapter 13 for people who went to another lawyer before and failed. Call us if you have a failed Chapter 13 and want to save your house. Call us if you filed Chapter 7 within 8 years and need help again. Free phone consultation to go over your debts with a bankruptcy counselor. Call to start now with a free consultation. Free office consultation as late as 6 p.m. and Saturdays also. Fast filing same day available. Locations near you in Illinois, Indiana, and Wisconsin. No money down filing available for Chapter 13 plans. Payment plans you can afford available to fit your case. We handle our own trial and appellate work. No hidden charges: some firms tack on $150 for what we do for free. Established bankruptcy law firm with over 100 attorneys and staff. We are in court all the time everywhere, it's no trouble to help you out! No phony debt settlement schemes: we work within the court system. Geraci Law is the largest bankruptcy firm almost everywhere we are. Personal attention, happy clients, and a fresh start for you. Experience counts: we do so much bankruptcy we see everything. Geraci Law LLC provides our lawyers and staff with Continuing Legal Education constantly so you get lawyers who are up to date legally! Bankruptcy Attorney Peter Francis Geraci® started what is now Geraci Law L.L.C in 1977. With over 100 attorneys and staff, 35 years of bankruptcy experience with over 100,000 clients happily served, Geraci Law helps you file Chapter 7 or 13 bankruptcy to stop lawsuits, garnishments, foreclosure, sheriff sales, repossession, collectors, tax problems and so much more! Free phone consultation, call us to talk about your problem or fill out the form at left and we'll call you when you want us to. Free office consultation, no charge for talking in person. Call us today if you have questions, or want to schedule a free consultation with experienced Illinois Indiana or Wisconsin bankruptcy attorneys 7 am - 9 pm at 1-888-456-1972.